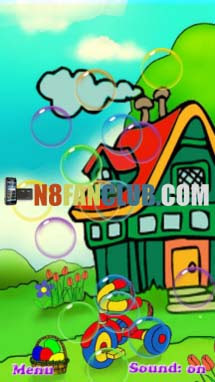 Try blowing into the microphone and feel these bubbles appear on the screen. Touch the bubble to break it. Now, how many bubble can you blow in 8 seconds? Try it.